The fermentation of cacao beans is crucial to the production of quality cocoa. Fermentation brings out the chocolate flavor that you’re familiar with. 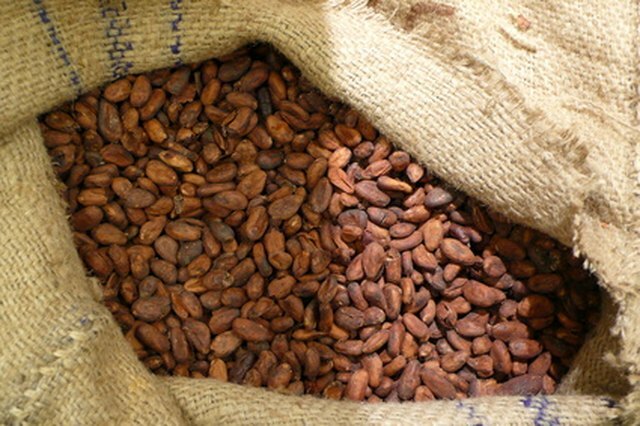 Before fermentation cacao beans have a very bitter taste and without fermentation, the rich chocolate flavor wouldn’t exist. Fermentation techniques vary depending on the region and the grower. Some prefer to lay them out in baskets while others place the cacao beans in heaps. But the basic process they follow is the same. Break open the cacao bean pods to reveal the bean inside. Leave the pulp (moist white fibrous substance) on the beans. This pulp is crucial in the fermentation process. Scoop the beans (with pulp) out and place so that they are evenly distributed on mats and cover them. Typically the beans are covered with banana leaves or branches. You can also ferment the beans in ‘heaps’ by placing the beans into a bucket or a box with a lid. Leave the beans to ferment. The pulp surrounding the cacao bean transforms into alcohol during fermentation. This conversion is caused by the yeasts in the air and by the heat produced by the pile and the alcohol is then turned into lactic or acetic acid. Cut slits or holes into the box or bin to allow the alcohol-containing liquid to seep out of the pile so that when fermentation is done, you are left with only the fermented beans. Mix or turn the beans several times during the fermentation process to allow oxygen into the pile. 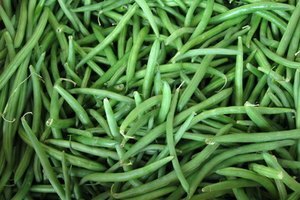 Leave the beans for two to six days, depending on the type of bean and level of flavor and aroma desired. The fermentation process can take up to eight days but the beans shouldn’t be left to ferment longer than that. Look for the beans to change in color, which indicates the final stages of fermentation. 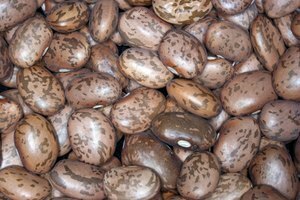 Criollo beans, for example, turn a brownish-yellow shade and Forarstero beans become a violet-brown color. Germination in the cacao beans is destroyed by the high temperatures produced during fermentation. As they ferment, the beans gather moisture and become plump and their flavor changes from bitter to the beginnings of what we know as a chocolate flavor. Proper fermentation gives the cacao beans better flavor and results in less time roasting the bean to bring out that flavor. The longer they are left to ferment, a richer aroma and flavor can be achieved.